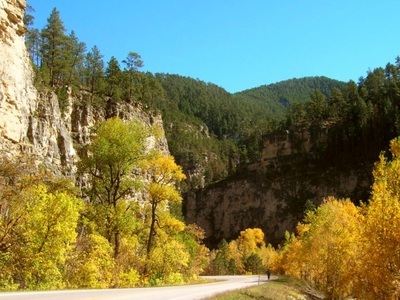 Spearfish Canyon is accessed from Highway 14A, which runs through the canyon along Spearfish Creek. 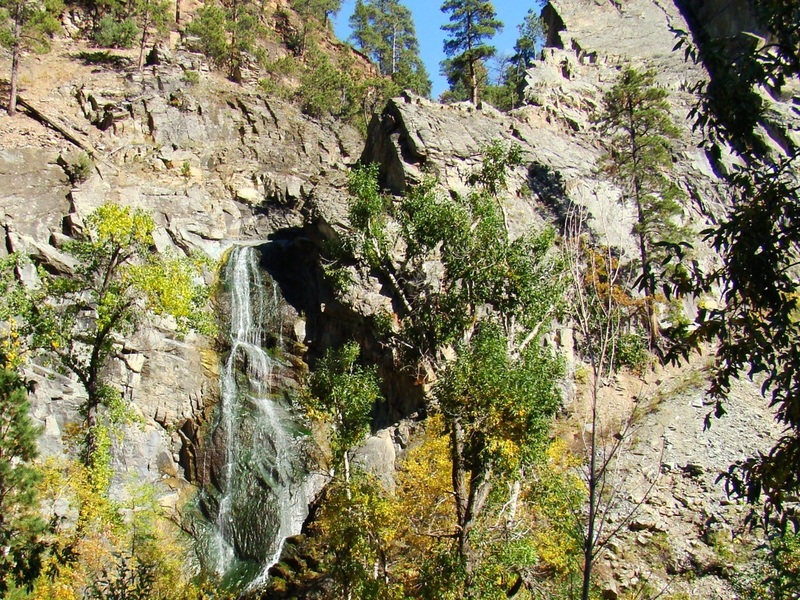 There are numerous pullouts along the way, and much of the canyon is open to the public, though there are some private lands scattered throughout. Please be respectful of any "no trespassing" signs you may encounter. The floor of the canyon rises 2,000 feet from north to south. The autumn colors usually draw many visitors each fall. 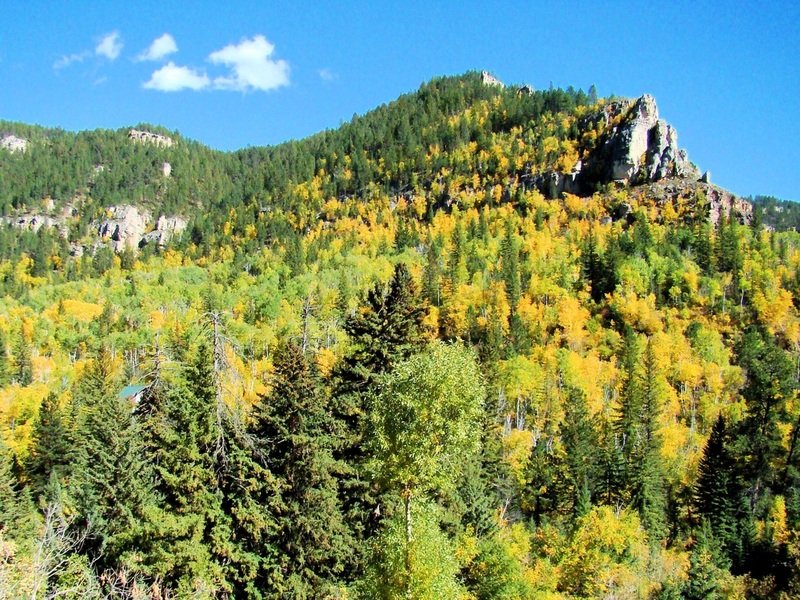 There is an abundance of aspen, birch, oak, spruce, ponderosa pine and box elder trees in the canyon and surrounding hills. 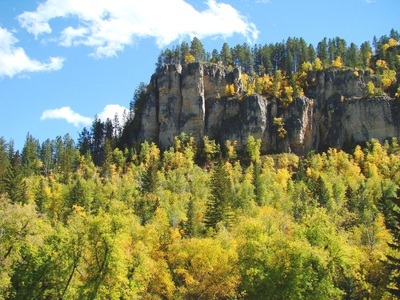 Hiking is popular in the canyon, as is rock climbing, biking and sightseeing. The limestone cliffs rise as much as 1,000 feet in some places. Wildlife is in abundance. 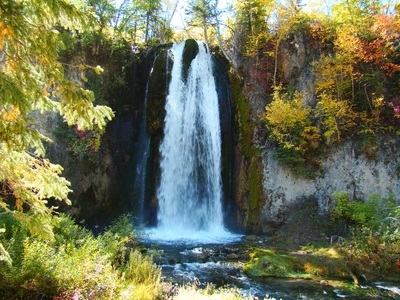 Spearfish Canyon is located just to the north of the town of Spearfish, South Dakota, along Highway 14A. 14A is accessible from Interstate 90. 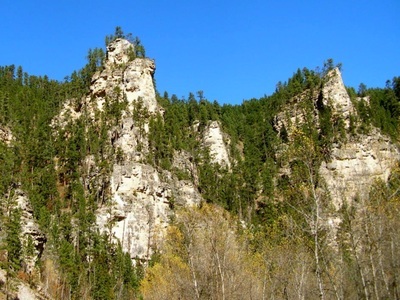 For those traveling to Spearfish Canyon from the south, Highway 85 intersects with Highway 14A, at the south end of Spearfish Canyon. 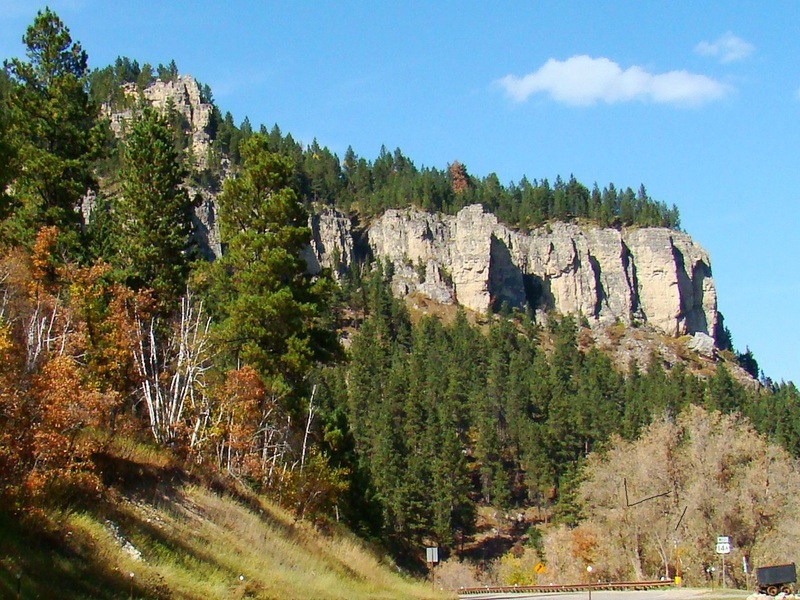 Many people traveling north on Highway 385 through the Black Hills will turn onto Highway 85 at Lead, South Dakota. 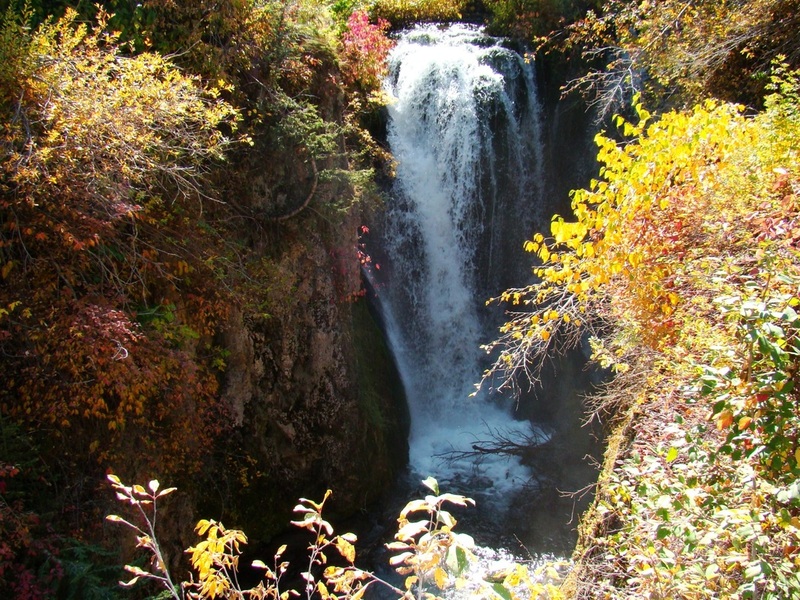 Listed below are some other links for Spearfish Canyon hiking that you might find useful in planning your hikes. There are also some map & information links in the trail descriptions on the right side of this page. In 2013, we posted a Spearfish Canyon page on SummitPost.org, with a trail listing, which we have also posted below. There are numerous unofficial trails in the canyon, which we will not address. Some of the trails listed below we have not hiked yet. Those we have hiked, we will include our own observations for. We have omitted the 76 Trail, since it is very strenuous and not the kind of trail we are focusing on in this site. Spearfish Canyon Floor Trail – The trailhead is behind the Spearfish Canyon Lodge. 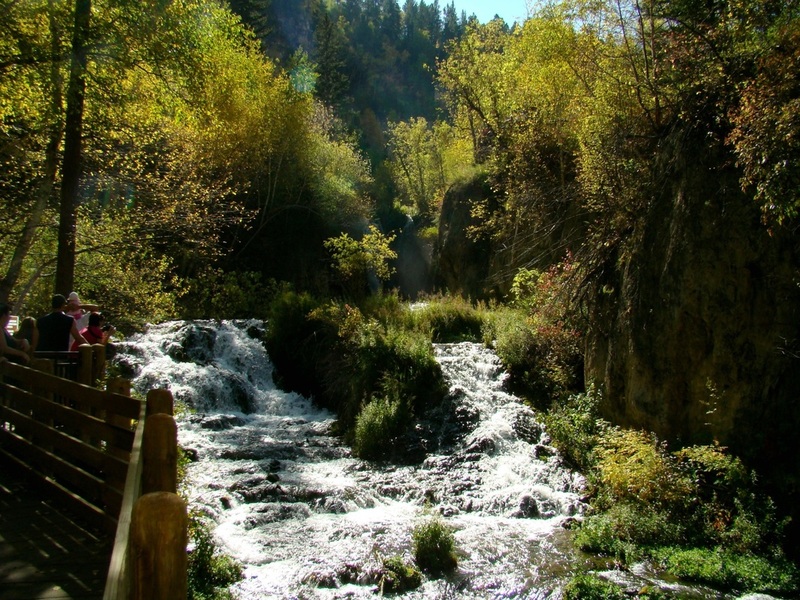 This short .75-mile loop trail descends to Spearfish Falls. 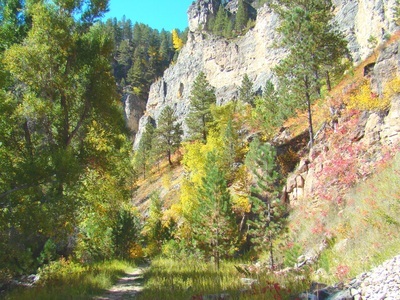 Roughlock Falls Trail – This trail starts near the Spearfish Canyon Lodge at Savoy. 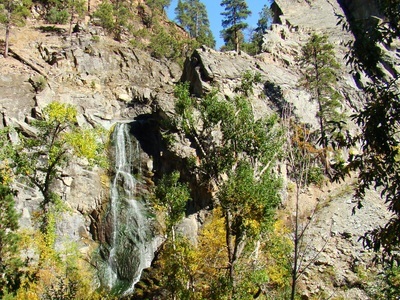 It is an easy 1-mile trail to Roughlock Falls, and is also wheelchair accessible. 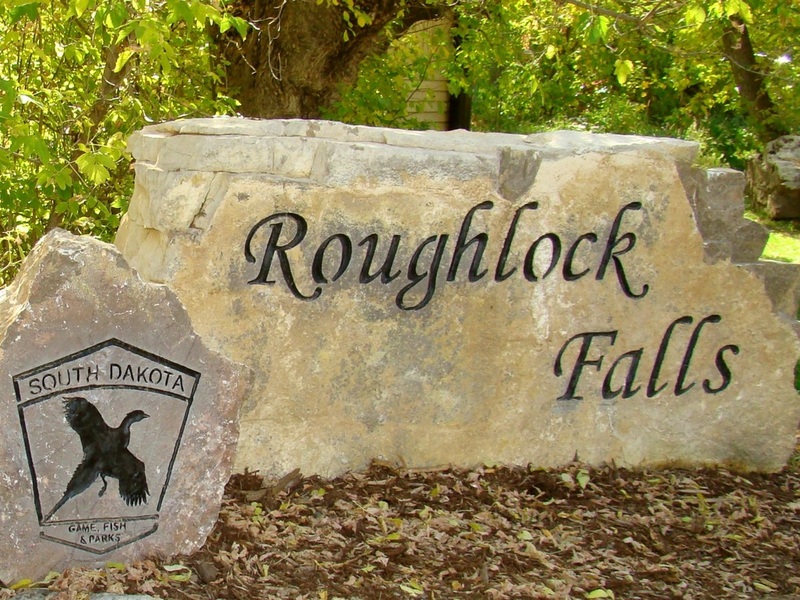 See our page in this site by clicking on the Roughlock Falls Trail link above. Rimrock Trail – There are upper (4.5 miles) and lower (3.5 miles) loops that share a common segment for a short distance. Hiking just the outer parts of the two trails makes a 6.5 mile loop. The trailhead for the lower loop is at the Rod and Gun Campground, while the trailhead for the upper loop is a couple miles further up the road at Timon Campground. 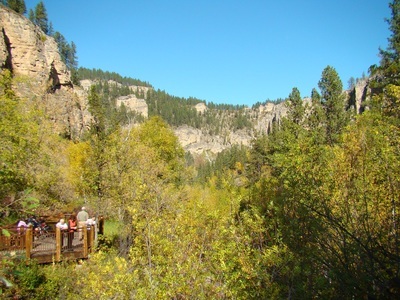 Timon Campground is also the trailhead for the Little Spearfish Trail. Both loops have segments along Little Spearfish Creek and both have segments through forest areas. The lower loop also ascends the canyon wall to the rim for some great views. The upper loop ascends to over 6,000 feet and passes a junction with the Old Baldy Trail, an old ranger station, and an old rock quarry. Clearly, this is an intermediate trail. Little Spearfish Trail - The trailhead for this 5.7 mile loop is also at Timon Campground. 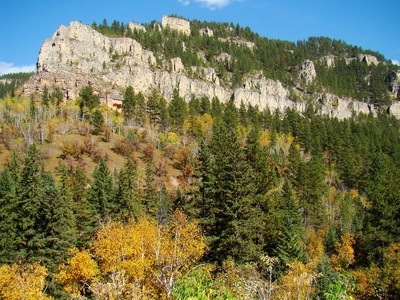 The trail ascends to a maximum altitude of 6,280 feet, through a forested area usually well-populated by deer and elk. 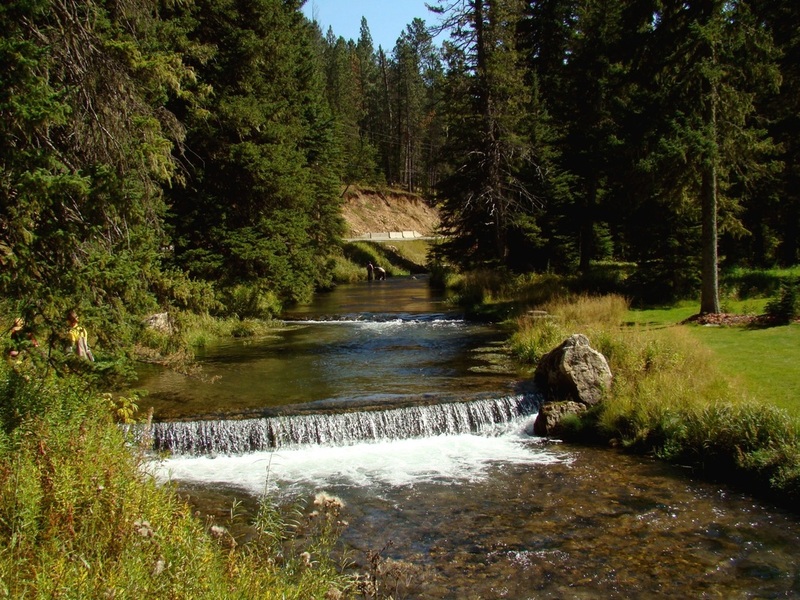 Eventually, the trail drops to a route along Little Spearfish Creek and numerous small trout ponds. This trail could also be classified as intermediate. 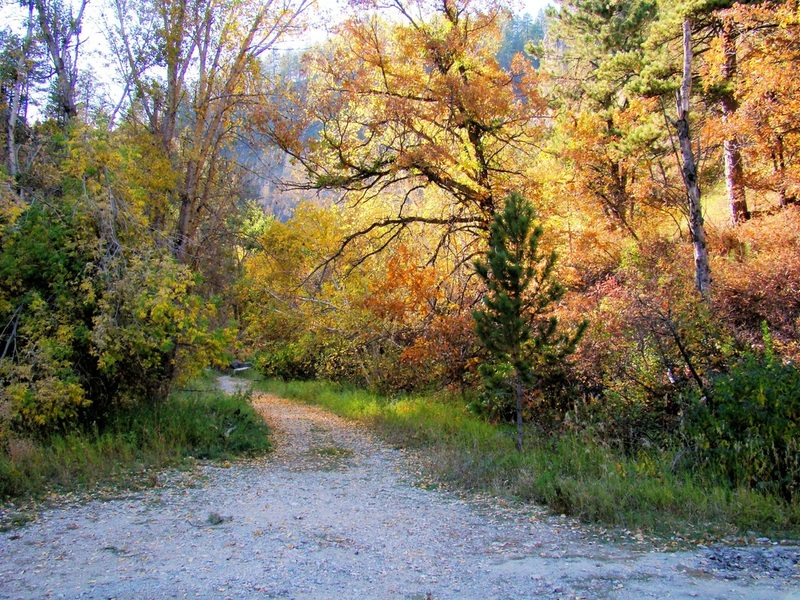 Iron Creek Trail – This trail is out-and-back, 1.3 miles long. A parking lot on the west side of Highway 14A is located about 12.5 miles into Spearfish Canyon, or just under 2 miles north of Savoy (Highway 14A & Road 222). Follow the trail along Iron Creek and enjoy the rock formations. Eleventh Hour Gulch – This very narrow side canyon is a local favorite, but finding a place to park could pose a problem. 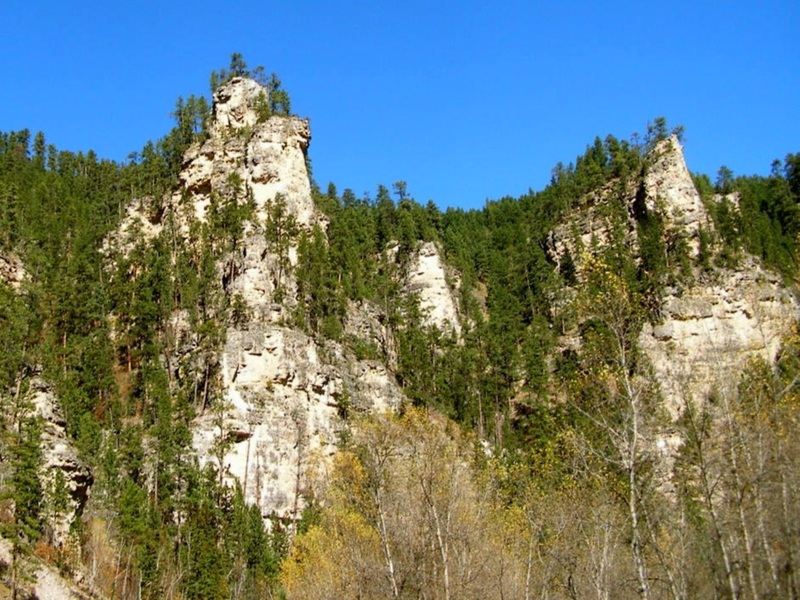 The access is just over 10 miles into Spearfish Canyon along Highway 14A, or about 4 miles north of Savoy. The short trail to the gulch (west side of road) could very easily be missed, with no signs marking it. 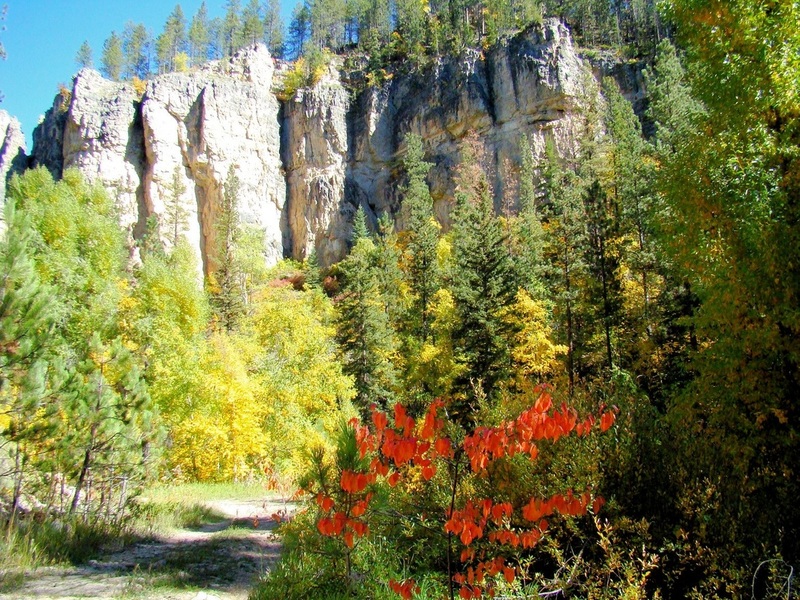 To go far into the canyon involves some climbing and very uneven rocky terrain. A small stream trickles through here. 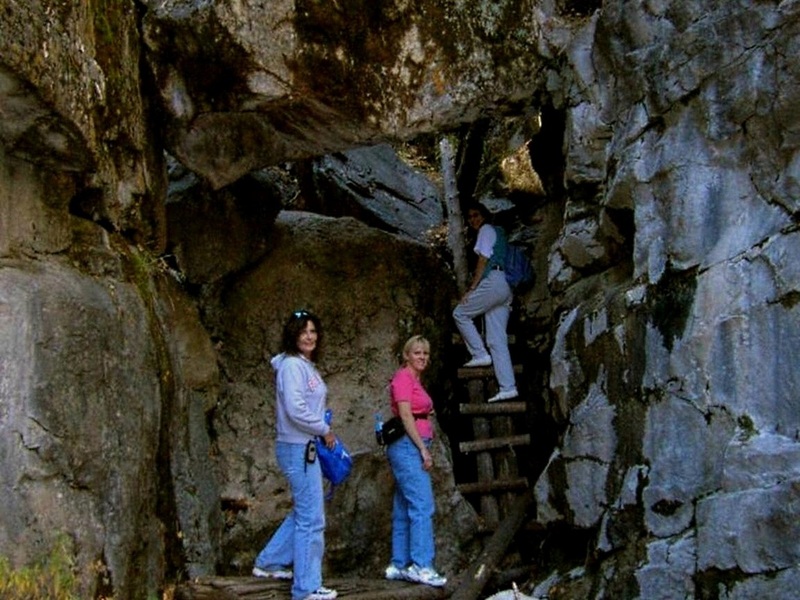 This trail is not easy, but can be handle by those capable of intermediate level hiking. 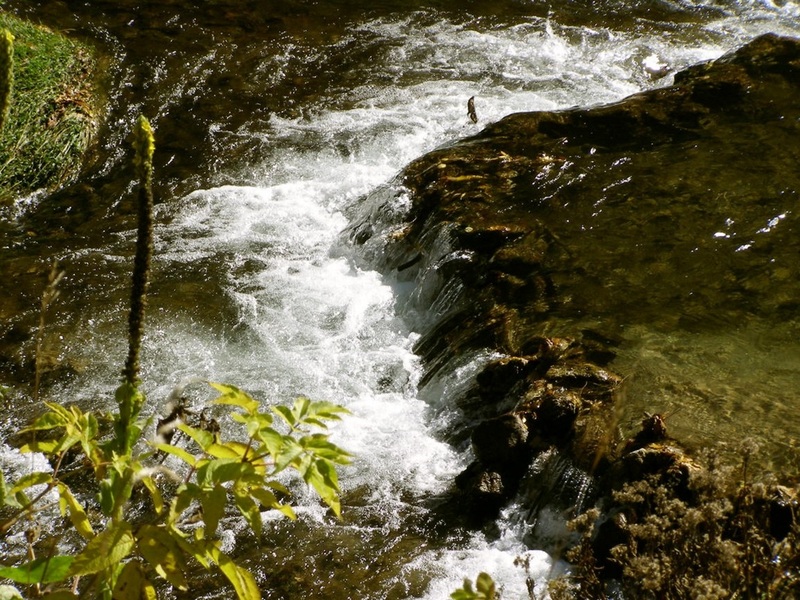 The Devils Bathtub – This is another unmarked trail near Spearfish Creek. Between 8 and 9 miles up the canyon along Highway 14A, you will see “Cleopatra Place” on the east side of the road. Turn in there and park wherever you can find a place. Cross the bridge and turn right, following the little creek (not Spearfish Creek) up stream for perhaps ¾ mile. The stream has carved several swirled “bowls” along the route. You will have to do some wading, so be prepared for that. This is not a trail for those with mobility difficulties. Eagle Cliffs Trails – This trail system is not in Spearfish Canyon, but is very close by. The trails are often used for cross country skiing, and also serve for hiking and mountain biking. 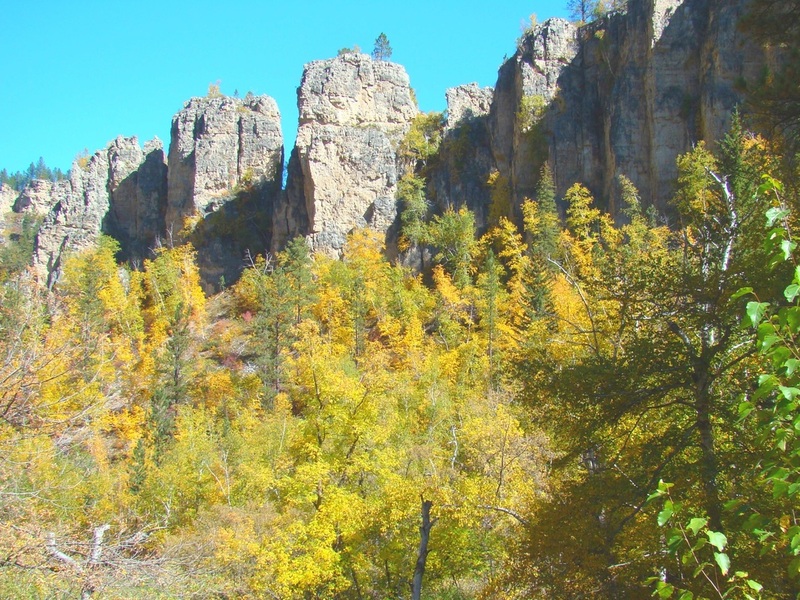 The Eagle Cliffs trailhead is 8.4 miles southwest of Lead, SD along Highway 85. consider these trails mostly intermediate.